I recently went to London for 10 days to take an intensive business course on the assessment tool, CliftonStrengths. But that’s not really what this story is about. Before I get started, I need to give you some background about CliftonStrengths for context. It’s a tool that reveals your talents -- what you’re naturally great at -- and the idea is to develop those talents so that, with practice, they become strengths. I just love that philosophy! While you need to manage your weaknesses so they don’t get in your way or in someone else’s way, you don’t want to put all your energy fixing weaknesses. You’re not likely to get masterful at something you’re not naturally gifted in, and you’d be competing with those who are naturally gifted in that area. It just makes no sense to waste energy fixing and filling your gaps. Instead, you put your energy behind what you’re already good at and work at becoming great. My talents largely focus on interacting with other people. My No. 1 talent theme is Woo, and it’s about being comfortable meeting new people and instantly connecting with them. That’s definitely me. And it’s also about having influence of some kind through that interaction. My DNA is all about wanting people to know they matter, which comes from another dominant theme, called Includer. So for me, my Woo moments are about wanting everyone I meet to know they matter. You can see the themes working together, like a behind-the-scenes team. The idea is to understand all your dominant themes and how they work together to make your efforts successful at whatever you are trying to do. I had been chewing on how to develop these Woo and Includer talents while I was in London. 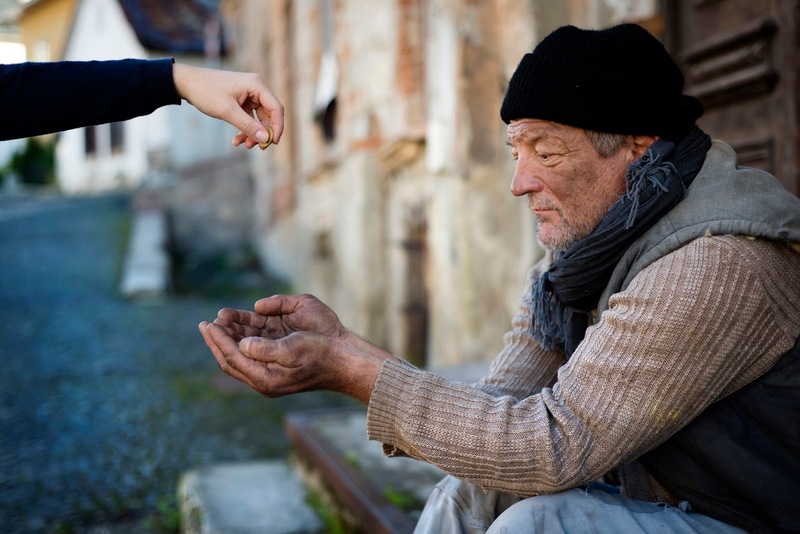 The first occasion happened when I saw a man in his 60s, presumably homeless or hard on his luck, asking people for money as they came out of the Underground stop near my hotel. People passed him by and I thought, “I’m not going to do that.” First, I was motivated by a desire to honor my son, who always stops to give money to the homeless -- he is so kind-hearted. Second, I thought, “Here’s an opportunity to lean into my Woo and Includer themes.” I walked over to him and decided I didn’t want to put money into the cup he was holding -- I felt it lacked dignity somehow. I wanted to put it into his hand instead, and to make eye contact, which I did. After giving him some money the words, “You matter,” just fell out of my mouth. He smiled, and I walked on my way. That really felt good. Like I had purpose. Many years ago, I had walked by a homeless person who beseeched me to stop, and for some reason, it was so painful, I didn’t. That moment has haunted me my whole life, and I suppose it always will. So, in this moment, I was in part righting that wrong. I felt good about myself. The next day, when I was coming off the same tube stop, I was in my own world, rushing to get somewhere, and I saw this man again -- at nearly the last possible second -- as I walked by him. And I didn’t stop. I DIDN’T STOP! “Are you kidding me? !” I asked myself incredulously, “You did this before! Years ago. It has haunted you. Go back and give this man something. Acknowledge him! Where is your Woo and Includer? !” But I kept walking. I don’t know why. And I kept thinking about it as I walked. Was it a timing thing? Did I need time to see him, for his presence to register? Did I need time to mentally prepare myself to do something contrary to my first inclination to keep walking? Did it take time to see someone, I mean, really see someone as a person -- and I just didn’t have enough time to do that? Maybe, but then why did I keep walking after I had the realization that he was there? Shame, I suppose. The inability to look a person in the face and look at myself in the mirror and acknowledge that I treated someone like they didn’t matter. All of the good feelings about myself the day before were gone. Clearly, I was an impostor. Or maybe I just underestimated how conscious and intentional I needed to be in order to feel like I was truly leaning into my best self. I didn’t see that gentleman again, but the feelings I experienced after my brief encounter with him left me with plenty to think about. I decided to forgive myself for my failings and use the experience to be a better person going forward. I wandered around the streets of London, enjoying the architecture, the people, just everything around me, and eventually came upon a bridge. On this bridge, I saw a homeless man, maybe in his 30s, dirty, sitting on his knees, holding out a cup. I was not going to walk past this one. I approached him, and again, held the money out toward his hand. I wanted that connection. He seemed slightly surprised by that and opened his hand. As I gave him the money, I made sure that our hands touched. I believe so deeply in the power of touch and thought he probably didn’t get to have that experience very often. He smiled at me, and I smiled back. I turned to go on my way, and realized I had walked so far, that I’d lost my bearings and wasn’t sure where to find the nearest London Tube stop. And in that moment, I knew what I wanted to do. I turned around, went back to this man and said, “Excuse me, but I am completely lost. I need to get to the Tube, and I don’t know where to go. Can you help me?” The impact was astounding. His eyes lit up with a sparkly fire, and he came to life before my very eyes. He was so excited to give me the directions. We were two people on equal footing -- or perhaps he had the upper hand here as the one who was helping me. He gave me very careful directions, yet the words flew out of his mouth like a locomotive. Like he had been waiting for someone to use him for the longest time. I returned his spark and thanked him profusely and genuinely. This was who I am. This experience, of giving this man the gift of being seen, was completely indescribable. We both mattered, we both cared about each other. Our backgrounds didn’t matter. We were simply deeply connected. And as with so many “Woo” moments, it was over in an instant. But this time, I can say with confidence the impact on us both would last a very, very long time. Today I practice my Woo and Includer every day, consciously and unconsciously, looking to connect with any and every one, in the hopes of making them feel truly seen. Often people react in delighted surprise -- like they hadn’t anticipated having a real, warm conversation with anyone. I see our interactions as a positive disrupter -- if only for an instant -- when people let down their guard and truly connect as humans, and it is the ultimate payoff I seek. My Woo and Includer often bring me unexpected business leads -- I’ve been asked to speak because of airplane chatter, and have been offered executive coaching work as a result of “drive-by” conversations of great depth. But I don’t lean into Woo and Includer to get something from someone -- that would feel disingenuous. I lead with these strengths because they are part of my DNA. I cannot NOT talk to people around me. I genuinely want to connect to be in service in some way -- to make someone feel important. I cannot sit by and allow someone to feel invisible. I suppose I use my Empathy (another dominant talent theme) to discern who just wants private, quiet time versus who is yearning to talk to someone if only they’d be noticed. And the unintentional consequence of caring for the world at large in this way is that it often converts to unexpected business leads, for which I am truly grateful. My Woo serves to easily break the ice and tension among groups of people who are not seeing eye-to-eye, and my Includer is able to weave everyone’s point of view into a great discussion of reconciliation and productivity. My Woo and Includer have also served me well when interviewing candidates for hire, putting people at ease quickly, and allowing space for their “real selves” to come out -- for good and for bad. My Woo loves front-of-room work (e.g., leading workshops), and my Includer makes sure everyone has a voice in the room. My Woo and Includer are always “collecting” people, constantly connecting and serving. I suppose it would be best said that, to me, strangers are just future friends for whom I care deeply and who I simply haven’t met yet. DEBBY RAUCH LISSAUR is the first Gallup-Certified Strengths Coach in the New York/New Jersey area. Uncovering talent aligns with her deep commitment to positivity, kindness and action. She believes the more self-aware people are and the more they appreciate the talents of others, the more productive and fulfilled they'll be. Love how you also use your Empathy to sense when some just prefer to be alone with their thoughts! This article is so beautiful I cried from paragraph 3 to the end. In Zulu, the phrase for greeting translates to "I see you". So it is really beautiful how your Woo and Includer make you something of "an honorary Zulu"! And so, dear Debby "siyawubona"...the Zulu greeting! Thank you for a great start to my day Debby! A wonderful article - thank you for sharing how strengths impact others as well as help us bring our best selves forward. Great story! We have the same strengths profile, except I have empathy instead of positivity. For me empathy and woo are highly connected and make that draw to and from others exponential. Thanks for this thoughtful piece. Thank you! This comment meant a great deal to me! Suyawubona!